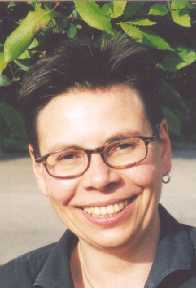 I was born in Hannover, Germany, and began my musical education at the age of eight as a member of the "Mädchenchor Hannover". I continued my education at the Hamburg University of Music and Theatre, where I studied opera direction on the course initiated by Prof. August Everding and Prof. Goetz Friedrich, and graduated with distinction. I have worked as assistant director, stage manager, and substitute in the artistic management office at the Niedersaechsischen Staatsoper Hannover, the Staatsoper Hamburg, the Deutsche Oper Berlin and the International Summer Course at Schloss Weikersheim. During this time I worked with the following directors and stage designers: Guenter Roth, Stephan Mettin, Martin Rupprecht, Hans-Peter Lehmann, John Cox, John Dew, Erhard Fischer, Herbert Wernicke, Goetz Friedrich, Andreas Reinhardt. After finishing my studies I started private vocal tuition with Elisabeth Umierski (Berlin) and continued with Prof. Annie Schoonus (Hamburg University of Music and Theatre) and with KS Christiane Bach-Roehr (Komische Oper Berlin). In 1988 to 1991 I sang with the RIAS Chamber Choir and had my first solo stage appearance in the role of Arnalta in Monteverdi's "Coronation of Poppea" at the Junges Theater Goettingen. I went on to sing the parts of both the king and queen in Toovey's "Ubu" at the Opera Stabile of the Staatsoper Hamburg and then the parts of the Third Lady in Mozart's "Magic Flute" and Orfeo in Gluck's "Orfeo ed Euridice". 2009 I sang the part of the Geneviève in Debussy's "Pelléas et Mélisande" at the Opera Stabile of the Staatsoper Hamburg. I mainly work as a solo Contralto, giving concerts and recitals. My repertoire ranges from baroque to contemporary music. I equally enjoy singing well known and lesser known and unusual works. 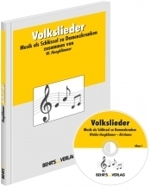 Since 1998 I have been working together with the pianist Prof. Patrick Walliser. So far we have performed recitals with songs by Johannes Brahms, Franz Schubert, Luise Adolpha Le Beau, Clara and Robert Schumann, Felix Mendelssohn-Bartholdy, Hugo Wolf, Arthur Honegger, Alban Berg, C. René Hirschfeld, Gustav Mahler and Lili Boulanger. In 2003 my CD "Clairières dans le ciel" was published with the so named song cycle by Lili Boulanger - transposed for contralto - and with selected songs by Schubert and Mahler, and at the piano Patrick Walliser. The Label is THOROFON (order-nr. CTH 2477). 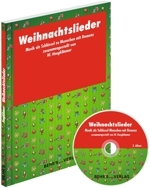 2006 my CD "Franz Schubert: Winterreise" was released with a live recording of a Lieder Recital (on the Piano again Patrick Walliser) with my own Label. In addition, during many years I am working as assistent producer, assistant director and script supervisor in various film productions. Most of these films had their world premières at the Berlin International Film Festival - Berlinale. 12/31/2011 I published this website. 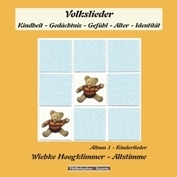 In January 2012 the first Singalong CD of this project was ready: "Kinderlieder - Album 1 - Volkslieder: Kindheit - Gedächtnis - Gefühl - Alter - Identität" with my voice (contralto solo) under my own label. 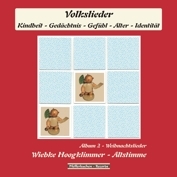 In November 2013 my second Singalong CD "Weihnachtslieder - Album 2 - Volkslieder: Kindheit - Gedächtnis - Gefühl - Alter - Identität" was published again under my Label Pfefferkuchen Records. I am living in Berlin since 1985.